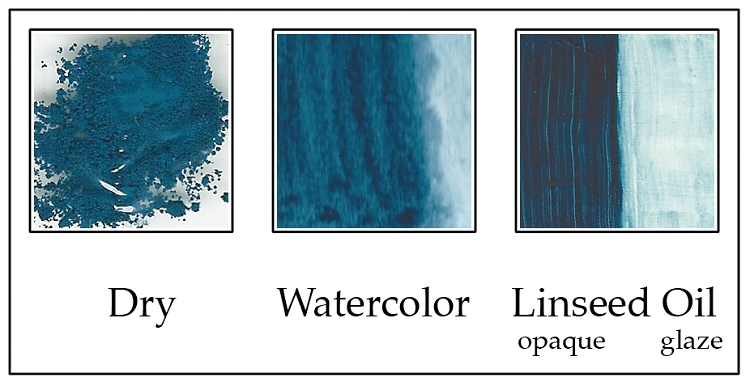 Genuine Mayan Royal Blue Pigment. This rich reddish blue shade is suitable for all media and is lime/plaster and concrete proof. A: Since this is a natural pigment, exact color mapping information is not available, but is in the range of PB15. The color is lightfast.